Our founder, Dr. Zachary Potts, DDS, comes from a family filled with dentists. His father, uncle, and brother are dentists, his grandfather was a dentist, and even his mother is a dental hygienist. Dr. Potts grew up immersed in the field of dentistry and knew from a young age that dentistry would be his profession of choice. After graduating first in his class from Loma Linda University in 2005, Dr. Potts acquired Moorpark Center for Dentistry in 2009, transformed it into the state-of-the-art practice it is today and has been serving the people of Ventura County with a variety of 5-star dental services ever since. Loma Linda University School of Dentistry – Graduated first in his class and received the Clinician of the Year award for clinical excellence. 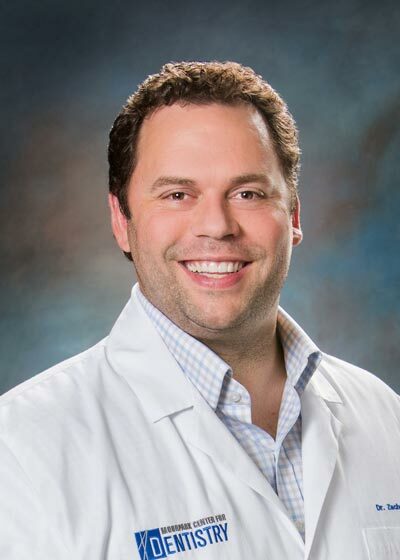 When not providing people in Ventura County with cutting-edge dental care, Dr. Potts enjoys dining, traveling, and spending time with his wife and three children, Jelina, Corbin, and Amelia. He also has two dogs, a cat, and enjoys television, movies, and collecting beer, wine, and fine whiskey. A family man, Dr. Potts prefers spending his time away from work doing things that make his children happy.